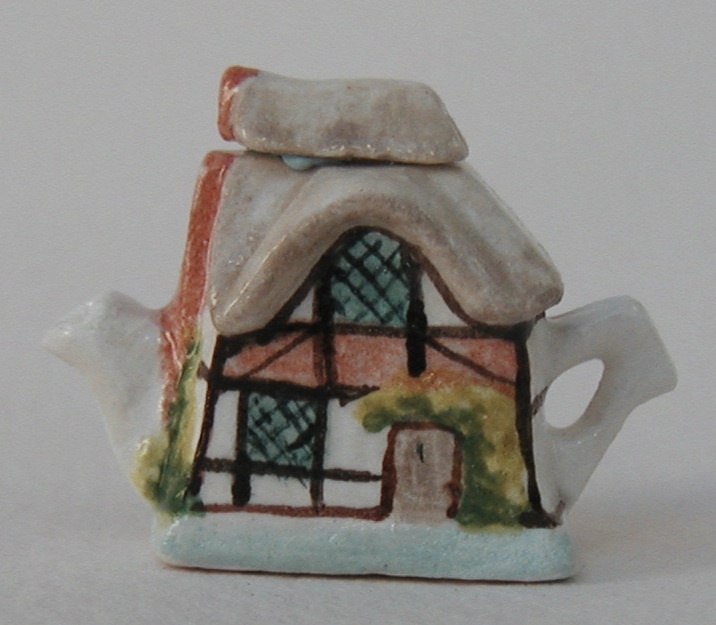 One of the prettiest teapots I make, can come in Belleck style too. 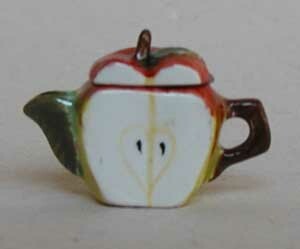 The Apple Slice teapot I have made for a few years, it's as if it has been sliced through! 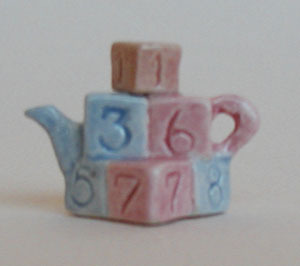 I usually finish this in pastel glazes, but bright colors can be special ordered. 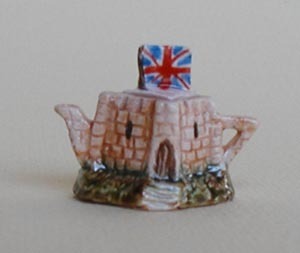 My take on a castle, proudly flying the union jack. 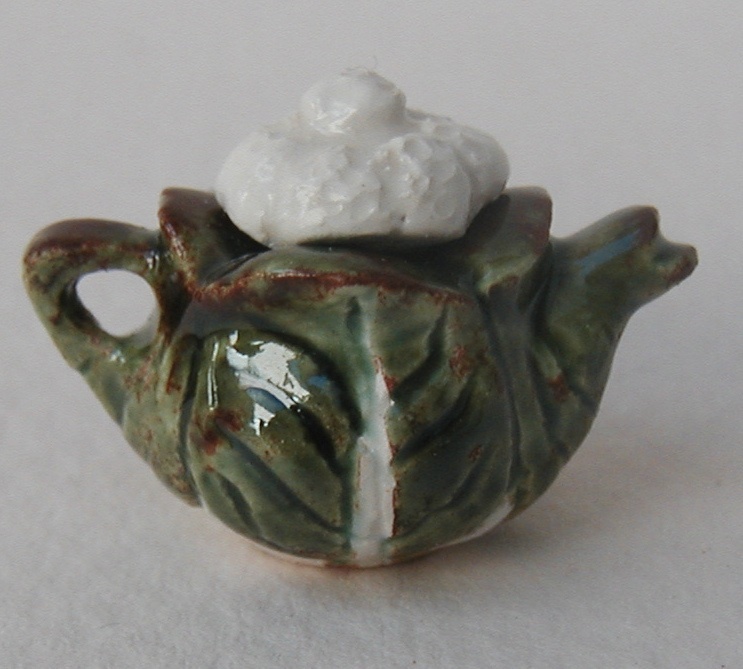 One of the original range, still popular, green glaze can vary. 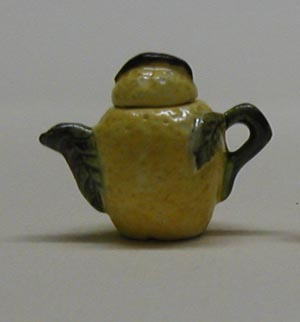 Both sides of this teapot is shown. 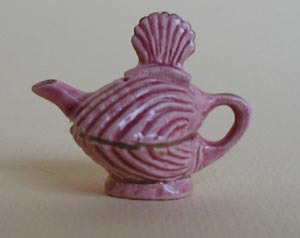 One of the fruit teapots. 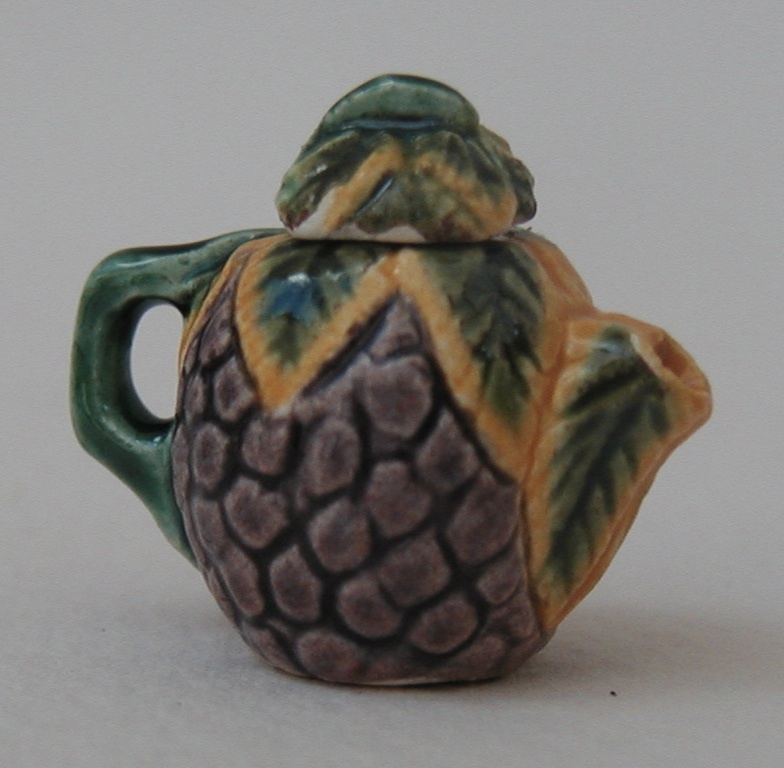 Pretty fruit has caterpiller on top, maybe to go with the orange? 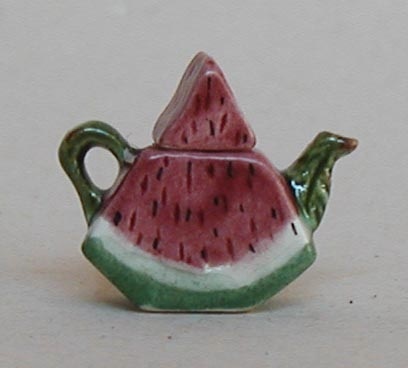 Just a perfect slice of melon, one of the smaller teapots.